The firm is conveniently located on the Southside of Jacksonville, in its own building, with plentiful free parking onsite. 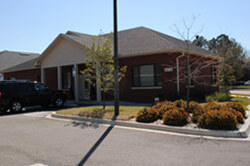 This location gives our clients easy access from I-95/Butler Blvd. and is centrally located for quick travel to and from downtown and the beaches, as well as Nassau and St. Johns counties.